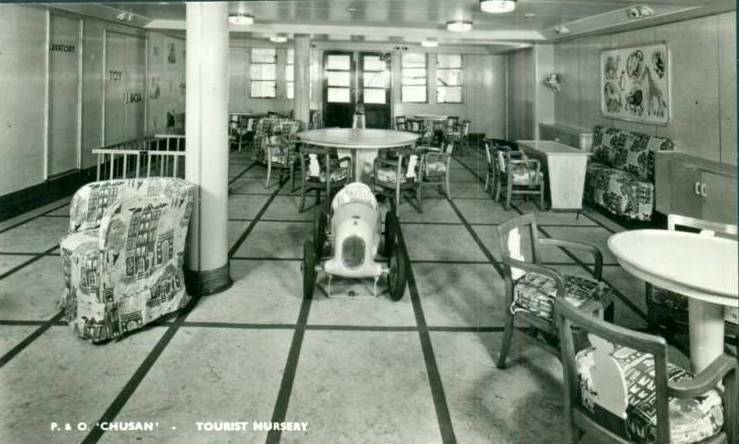 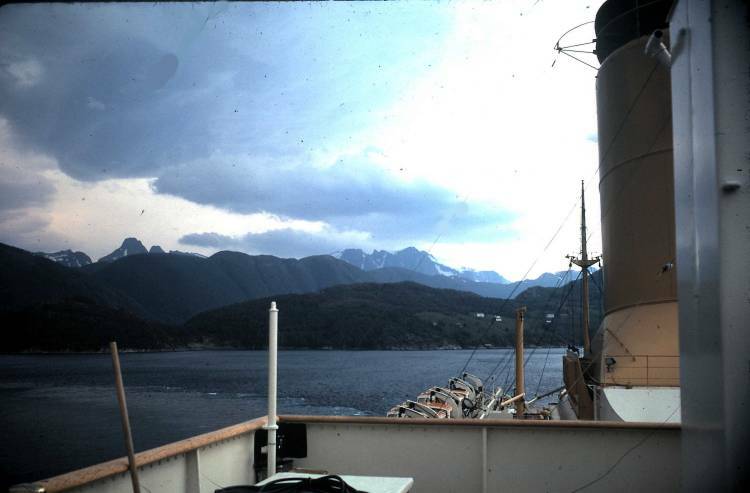 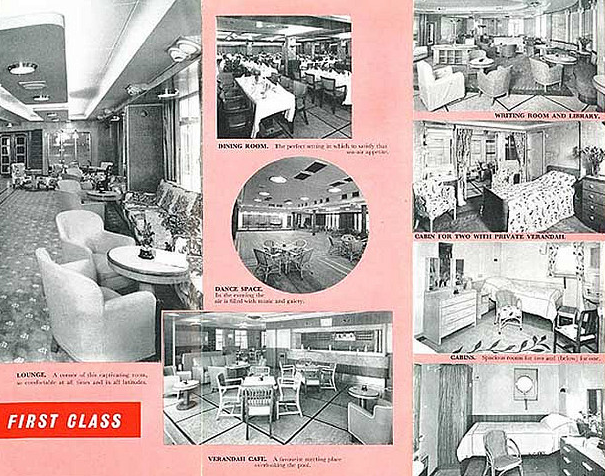 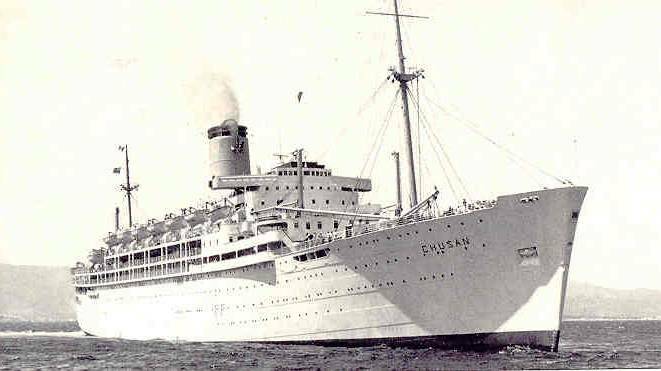 Ordered in May 1946, the third ship to proudly bear the name Chusan, was a smaller version of the P&O Company's Himalaya and designed as the principal element in the postwar regeneration of P&O's Indian and Far East service. 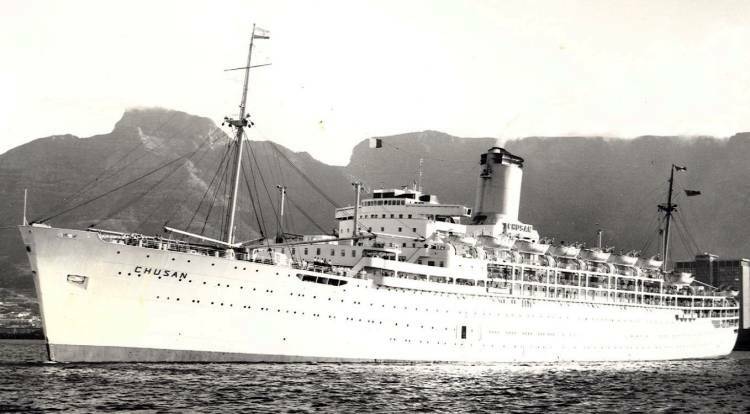 Considered by many as a long overdue replacement for the celebrated Viceroy of India, which was sunk in November 1942 by the German U-boat U-407. 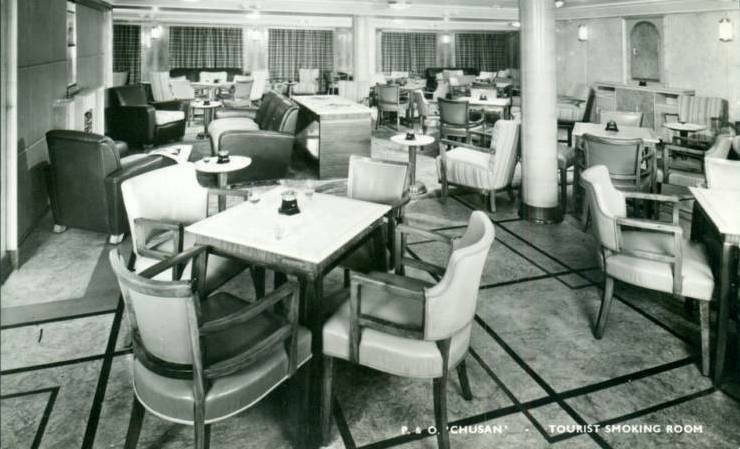 Like her celebrated predecessor, the new Chusan introduced superior standards, which were much appreciated by the good people of postwar austerity Britain, on the routes to the Orient and the Far East. 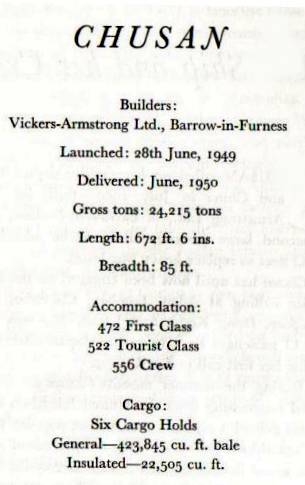 Built by Vickers Armstrong Ltd of Barrow in Furness, her keel was laid in February 1947. 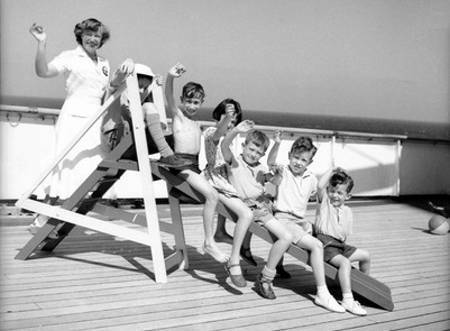 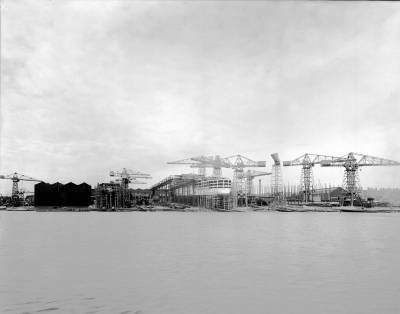 She was launched on the 28th June 1949 by Viscountess Bruce, wife of Viscount Bruce of Melbourne, a Director of the P&O. 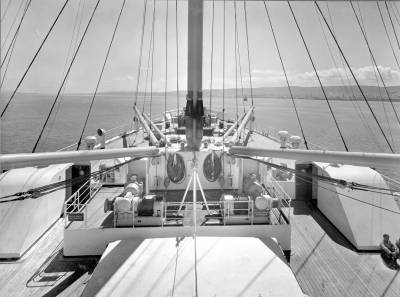 Following sea trials, she was delivered to P&O on 14th June 1950, the last and largest of the ships built for the Company's Far East Service. 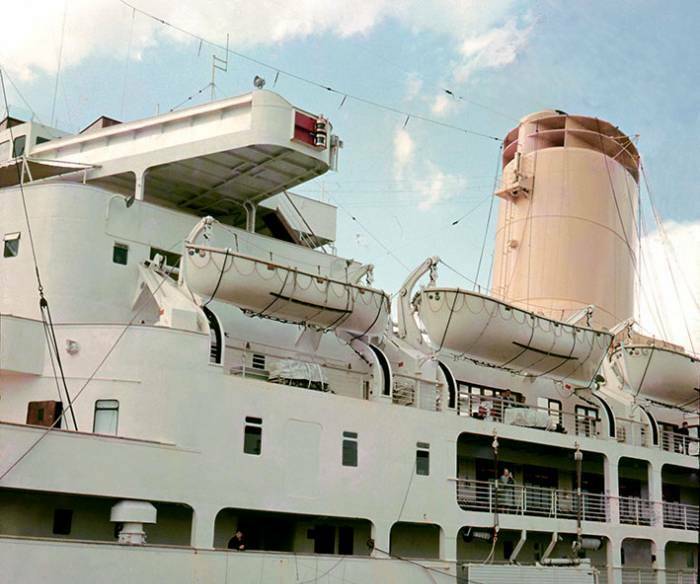 Like the technically advanced Viceroy of India before her, she was fitted with the very latest in marine technology, and heralded as the first ocean going passenger ship to be fitted with anti-roll stabilisers. 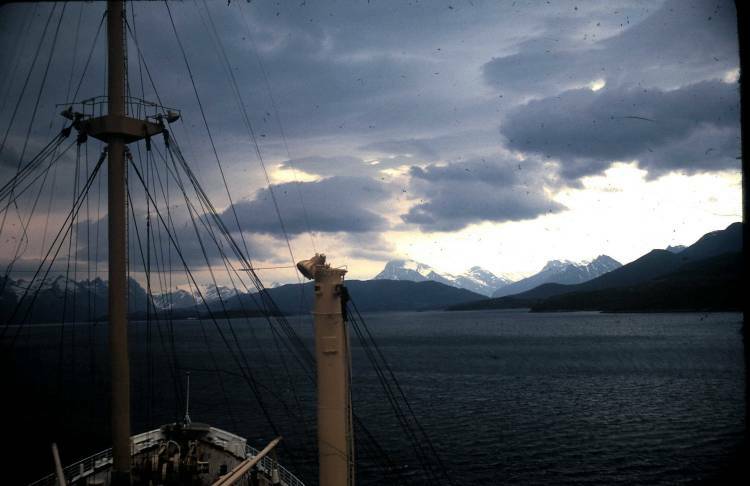 Painting, oil on canvas, SS Chusan by Edward Beckett. 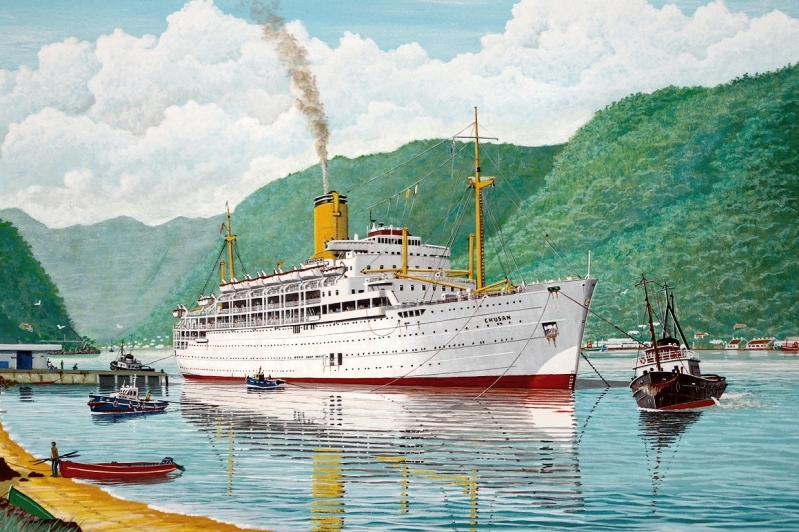 The painting formerly hung in the "mahogany corridor" at Vickers. 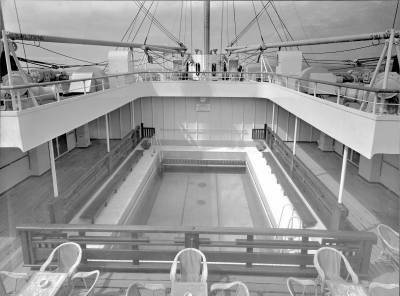 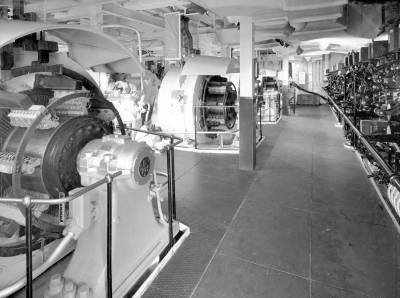 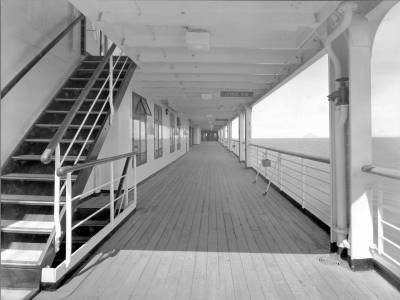 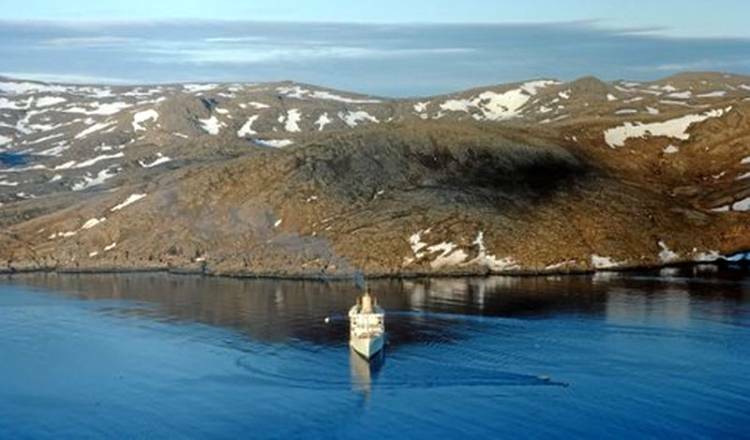 She had initially been scheduled to make four North Atlantic crossings on charter to the Cunard Line, but was delayed. 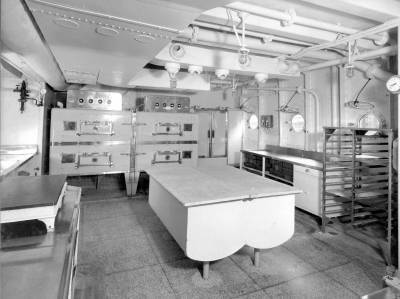 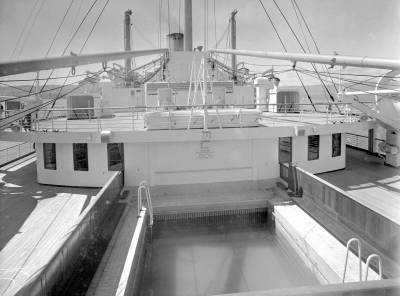 She made a less glamorous first voyage, to Rotterdam, with British officials who were attending a freight conference, while the Stratheden took her place on the Cunard charter. 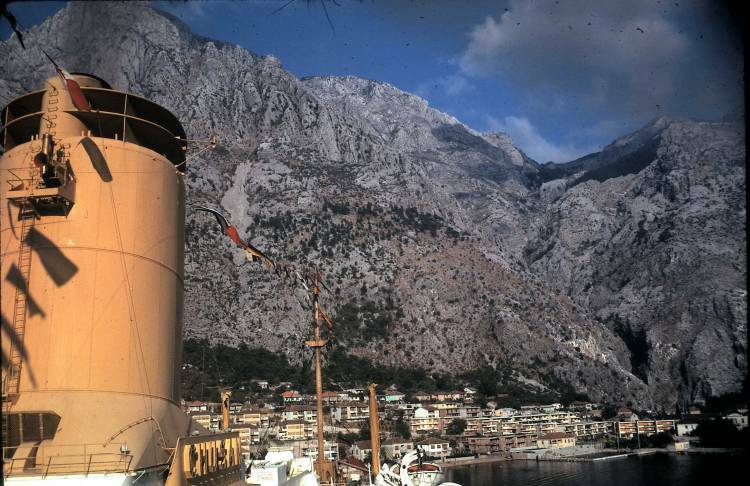 On the 1st July 1950 she sailed on her maiden commercial sailing, which was a 9 day cruise from Southampton to Madeira and Lisbon. 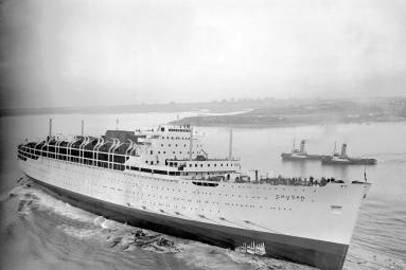 Her maiden voyage proper, commenced on 15th September 1950, when she departed Tilbury, London, bound for Bombay via the Suez Canal. 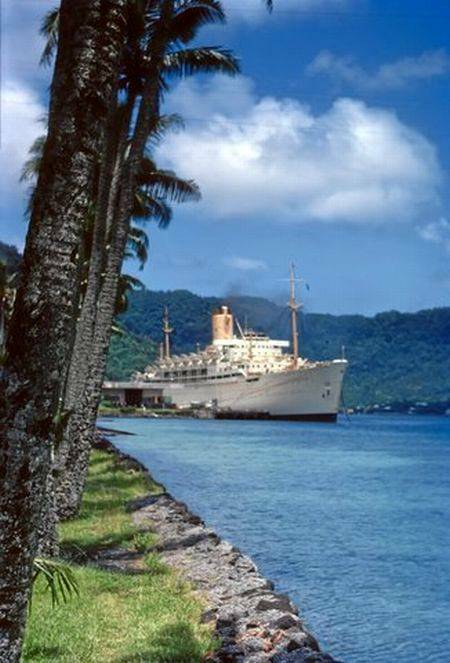 On the 7th November 1950 she commenced a regular Far East service, departing Tilbury, bound for Hong Kong. 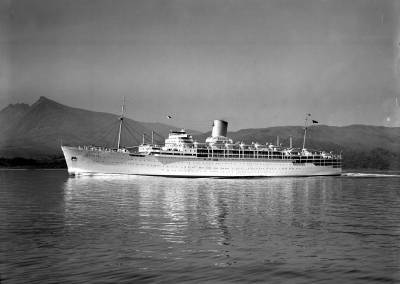 Thereafter she continued to China and the Far East, working in partnership with the P&O Company's Corfu, Carthage and Canton. 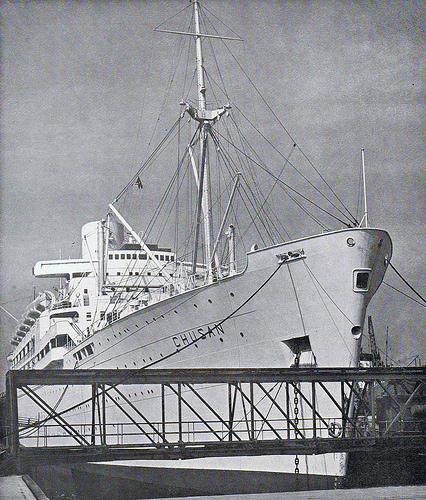 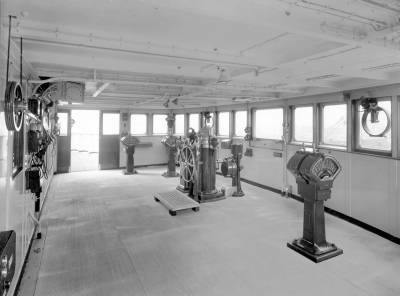 Thus she reinstated P&O’s service to Japan, making the first post-war call at Yokohama. 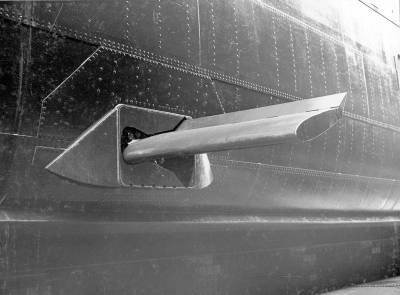 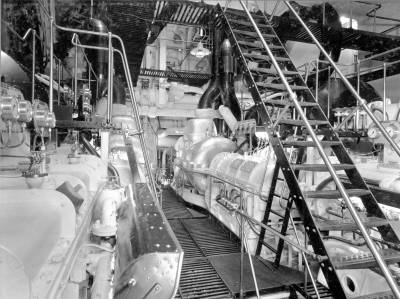 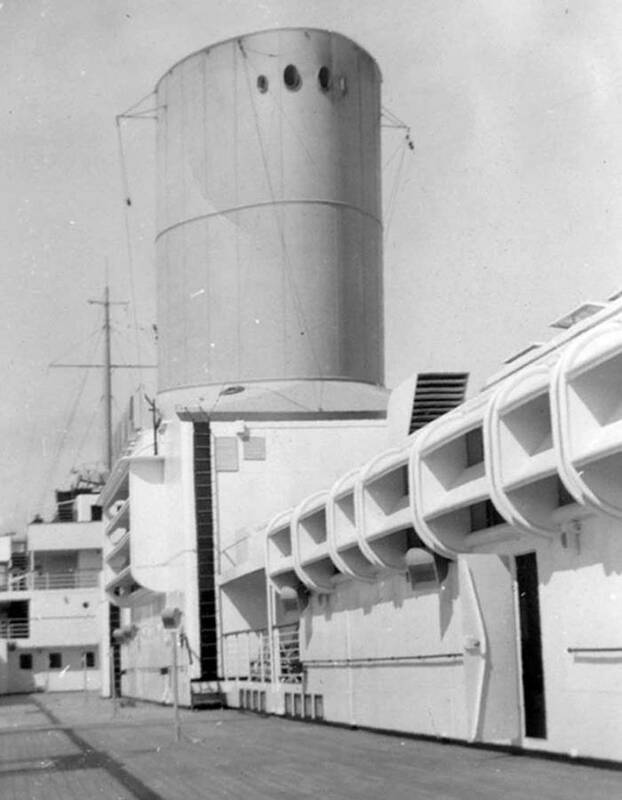 In May 1952, in order to reduce soot smuts falling on passenger decks, she was fitted with a patent Thornycroft funnel top by R & H Green & Silley Weir Ltd at Tilbury. 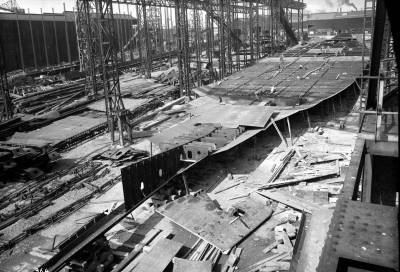 On the 12th June 1953 she collided with the cargo ship Prospector off the Goodwin Sands. 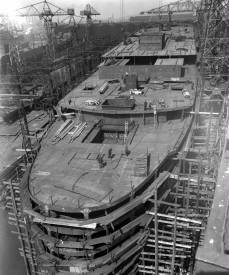 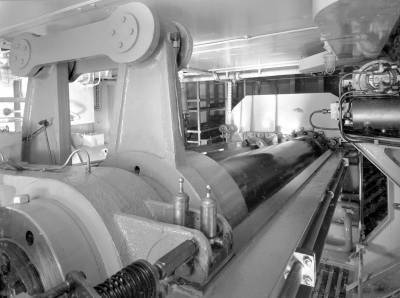 She returned to Tilbury for two days of repairs to an 8 metre gash in her bow. 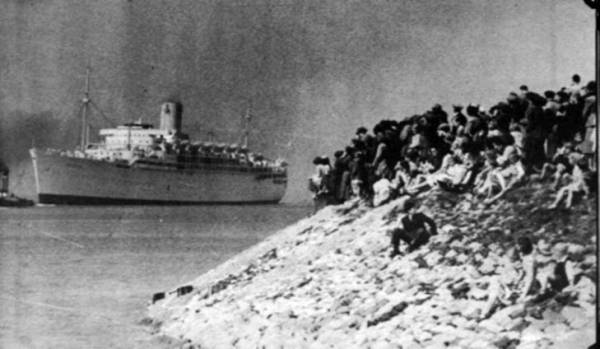 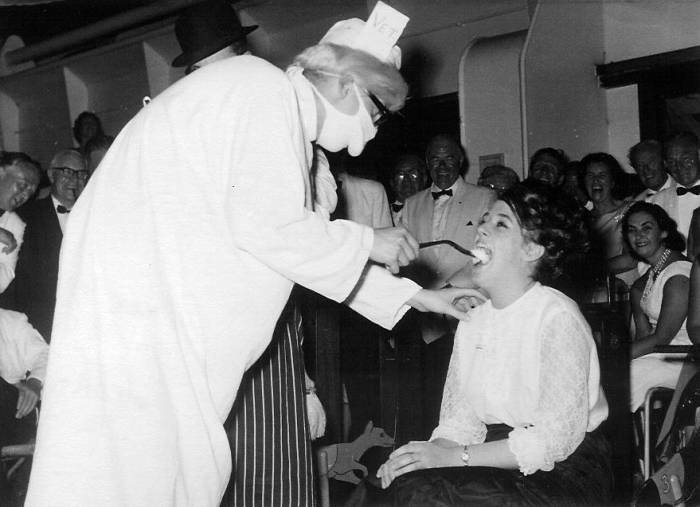 In March 1955 she landed a passenger with smallpox at Port Said. 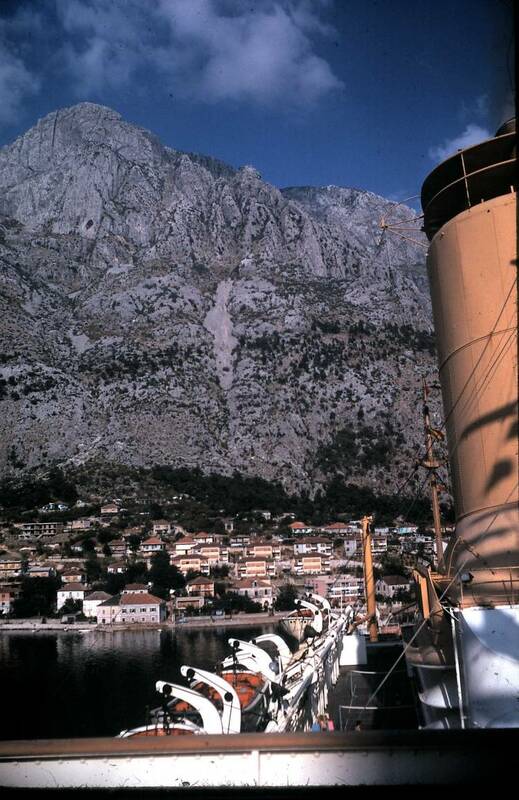 On the 2nd September 1955 she received a bomb hoax during a Mediterranean cruise, and, as a result, the ship was thoroughly searched at Naples. 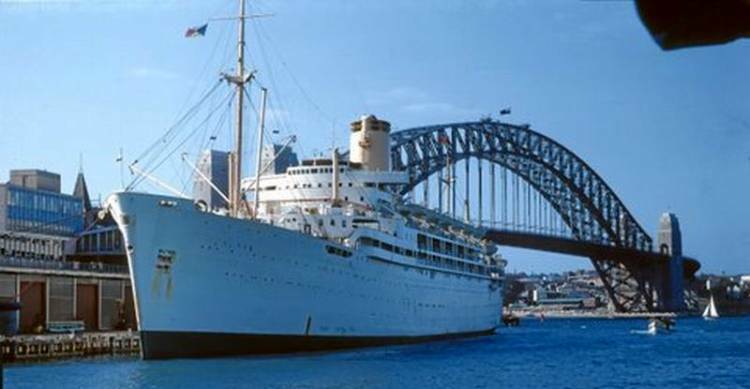 In June 1963 she was transferred from the UK to Far East Service and onto the UK to Australia service. 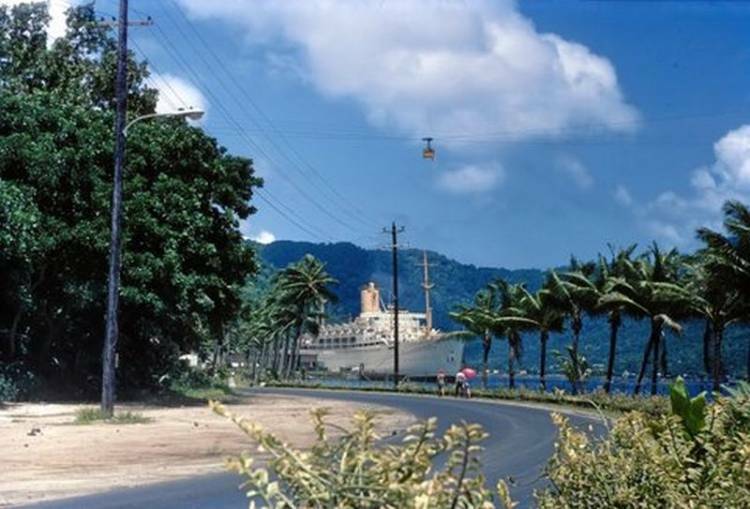 The ship played an important role in the famous London to Sydney Marathon, a car rally across the world which started from the Crystal Palace racing circuit in London at 2pm on Sunday, 24th November 1968 and ended at Warwick Farm (an outer Sydney suburb), on Tuesday, 17th December 1968. 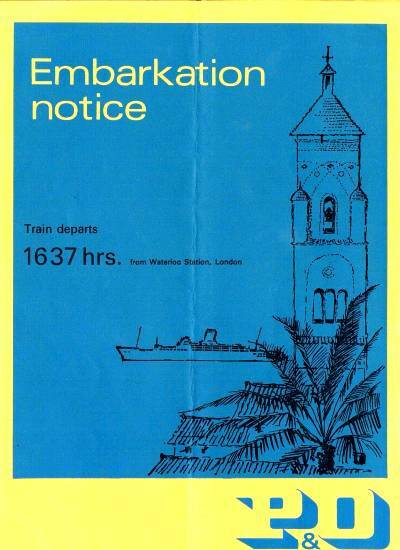 The cars drove from London to Paris, and then overland via Munich, Venice, Trieste, Belgrade, Istanbul, Teheran, Kabul to Bombay. 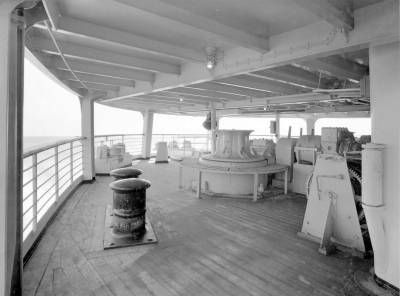 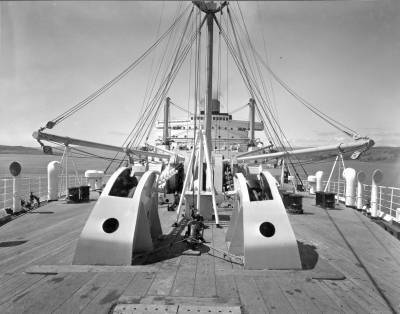 The crews had a cut-off time by which they had to be at dockside to board Chusan for Fremantle and only the leading 70 cars would be loaded. 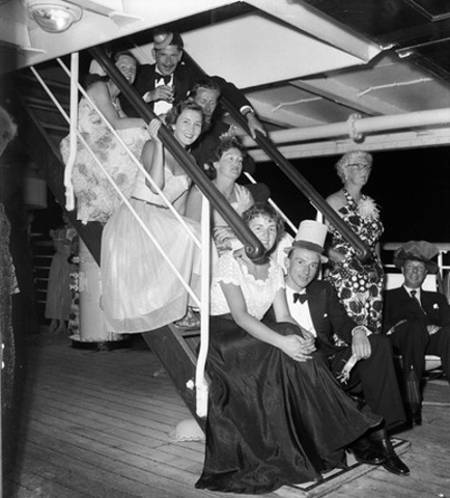 The cars were offloaded at Fremantle for the start of the last leg across Australia. 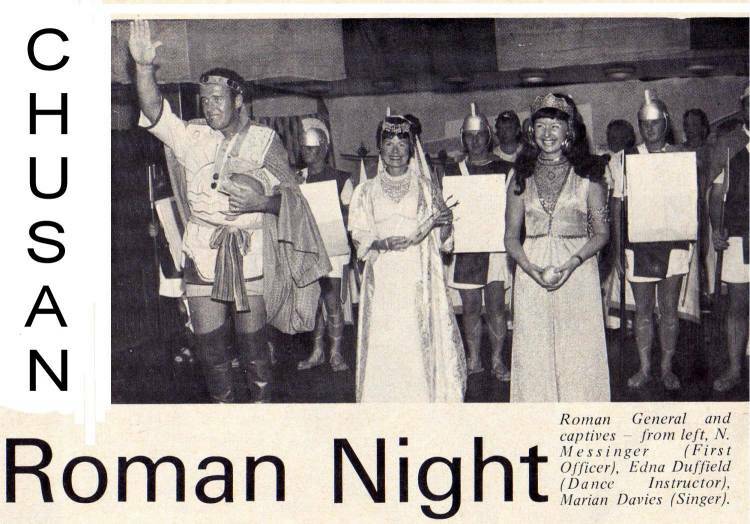 The winner was Car 75, a Hillman Hunter driven by Scotsman Andrew Cowan. 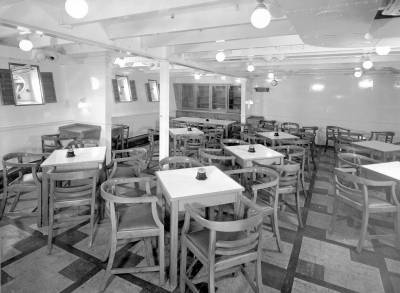 In January 1970 she had the honour of sailing the final London to India service, leaving Tilbury on the 15th Sep 1970, thus ending P&O’s long association with India. 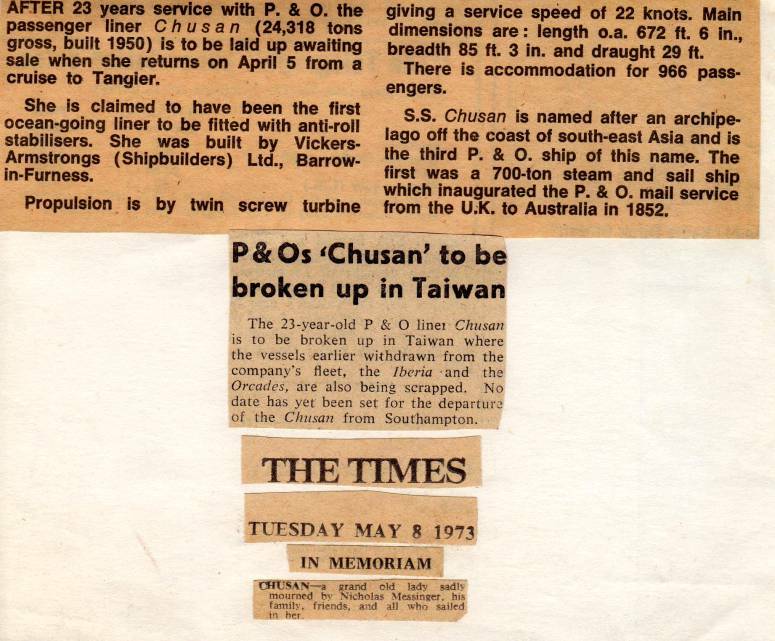 I n July 1971, Chusan suffered a fire in the funnel uptakes while docked in Southampton. 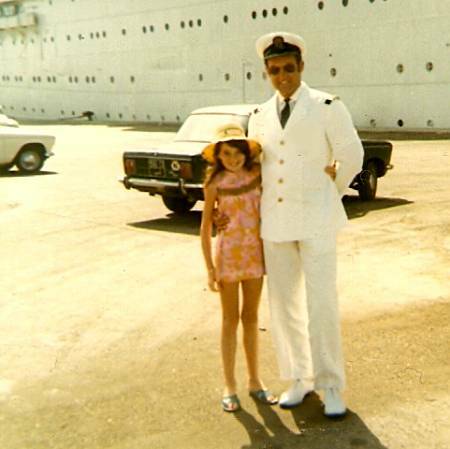 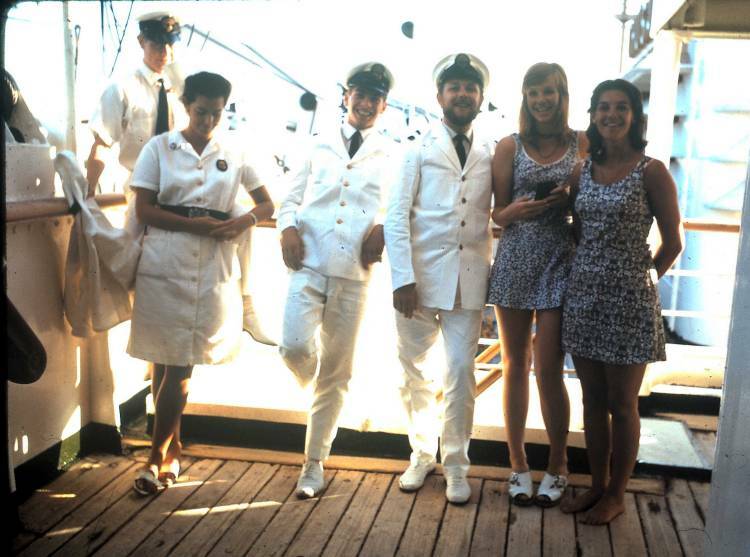 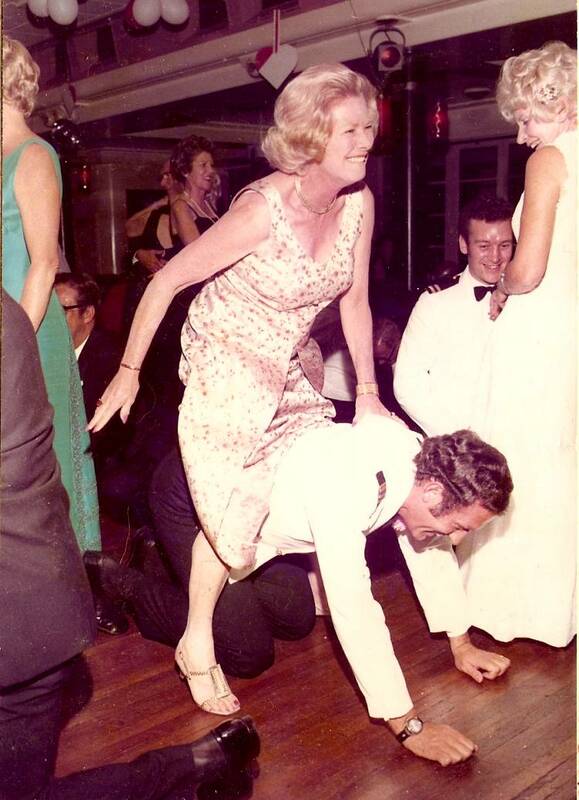 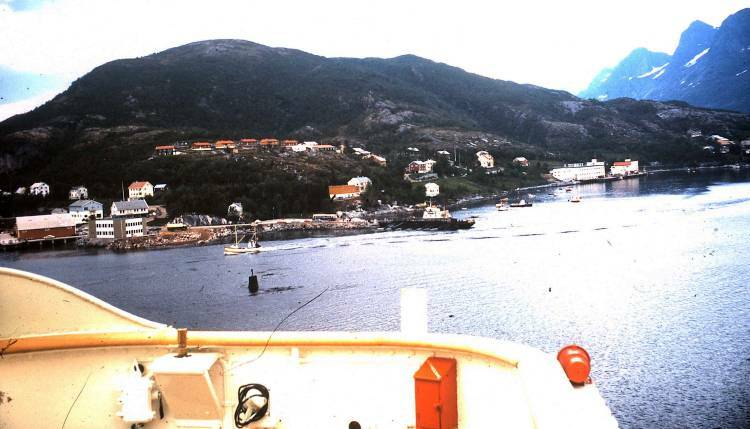 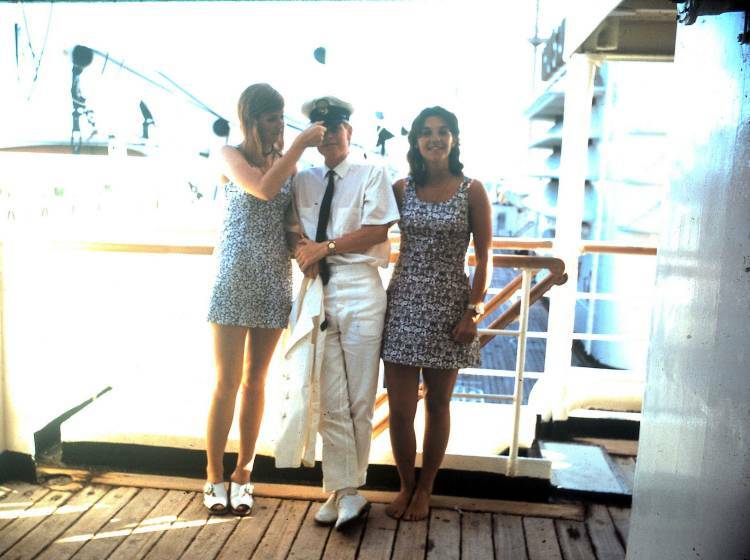 From December 1971 to January 1972, she operated P&O’s first cruise program out of Cape Town, South Africa. 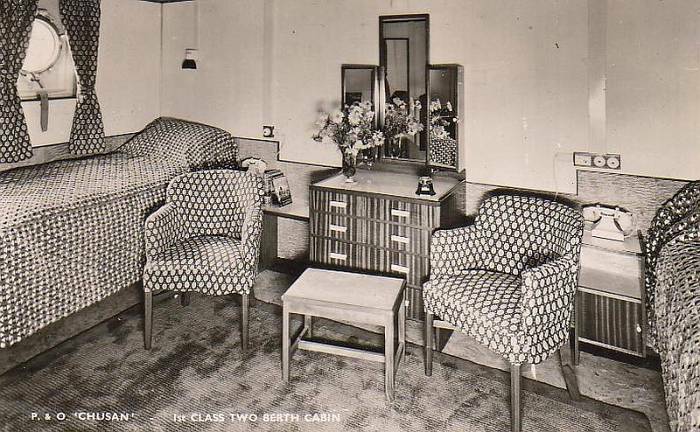 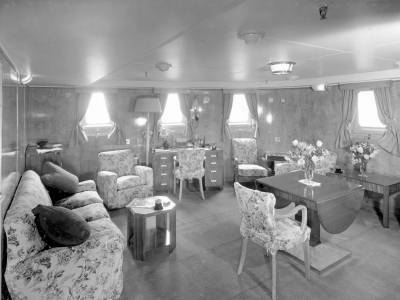 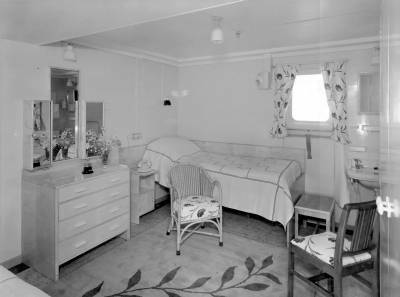 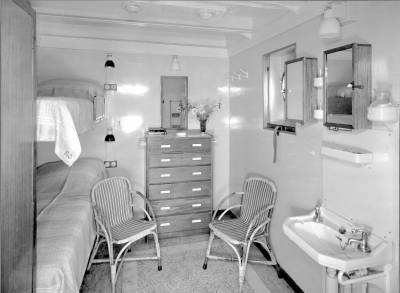 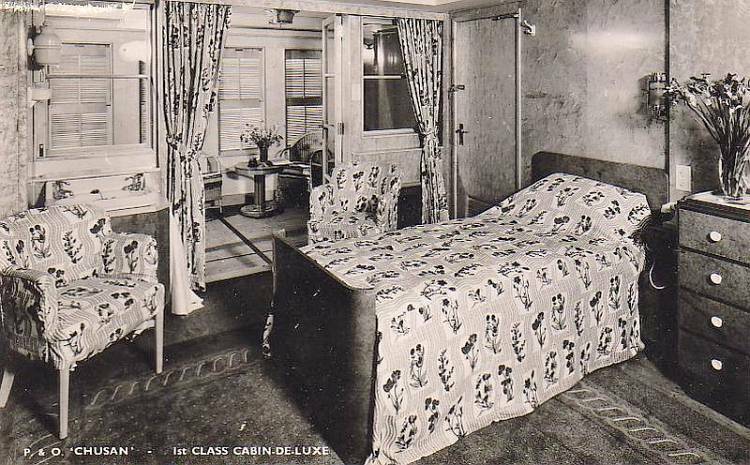 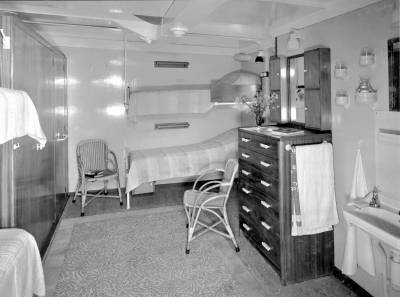 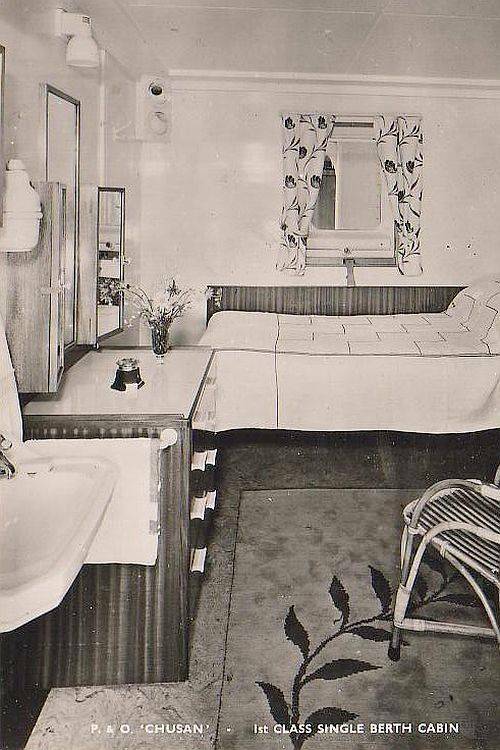 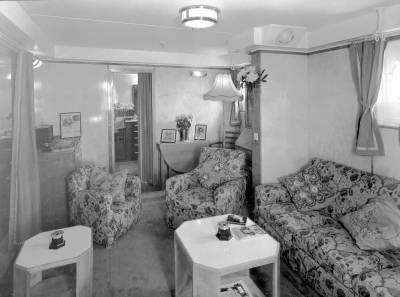 In 1959 her passenger capacity was revised to 464 first class and 541 tourist class. 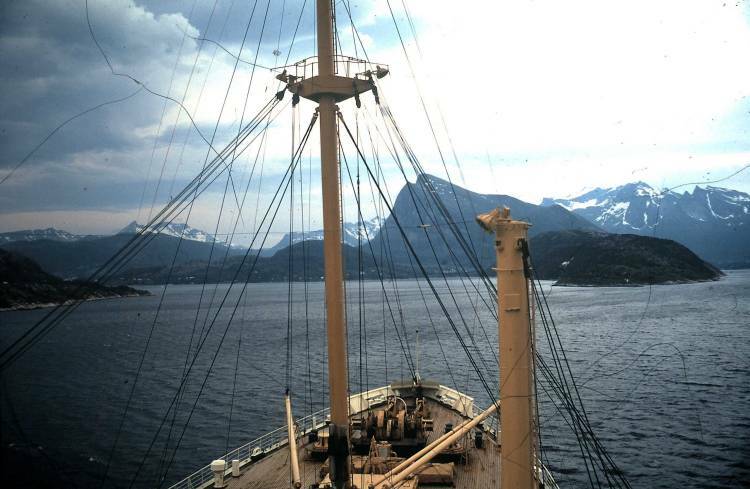 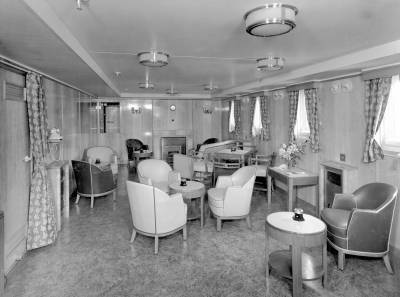 In April 1954 she departed London,Tilbury, for a 92 day round-the-world voyage, heralded as P&O’s first World Cruise. 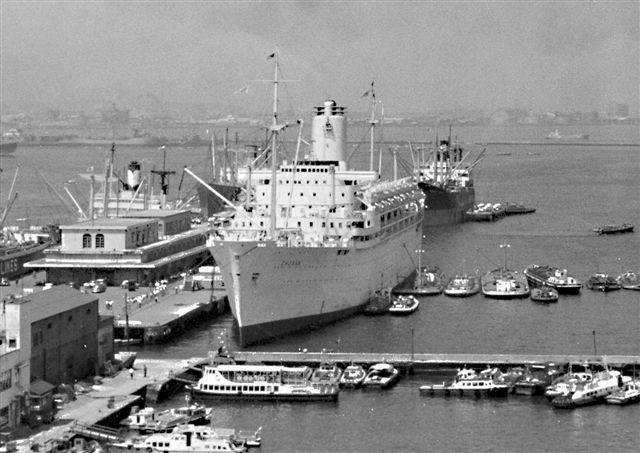 Chusan at Yokohama, Japan in the 1960s. 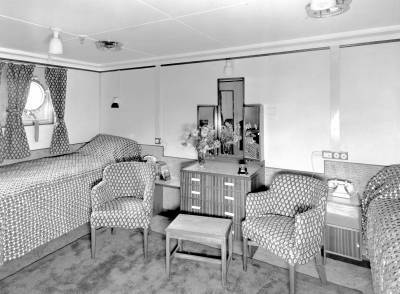 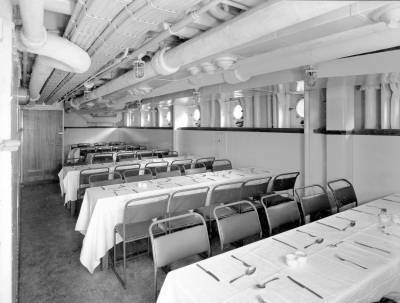 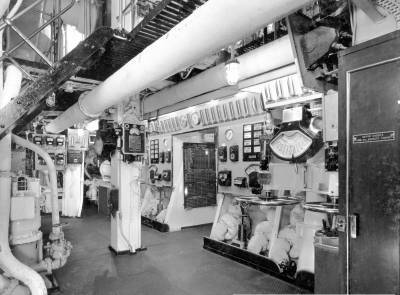 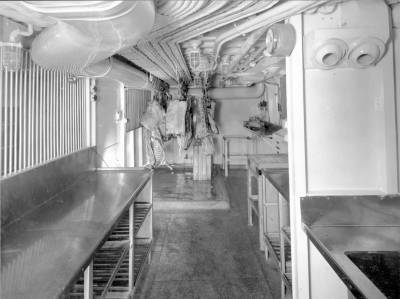 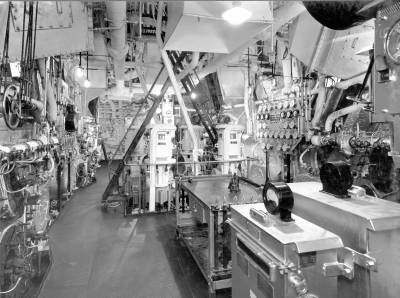 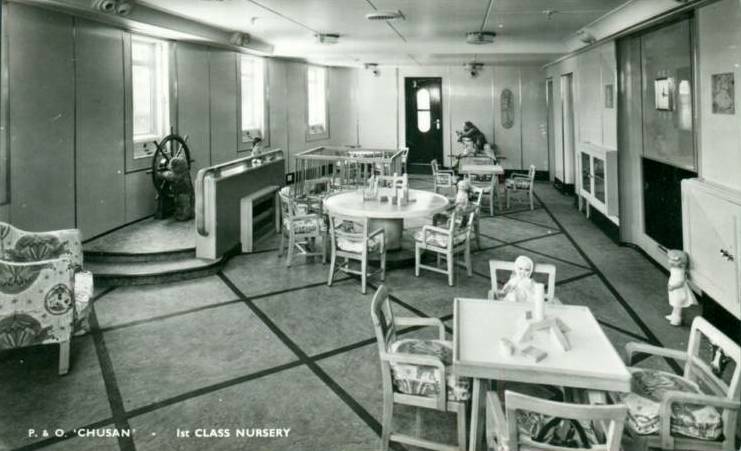 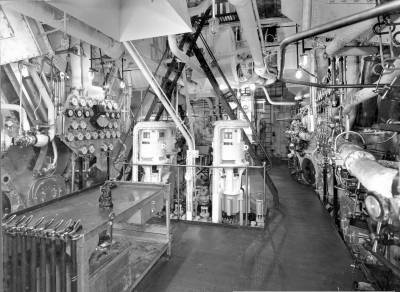 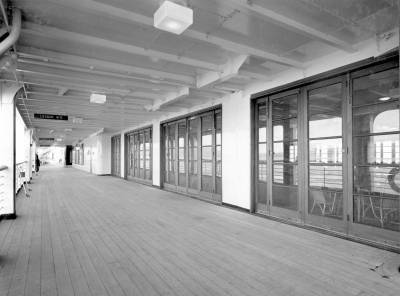 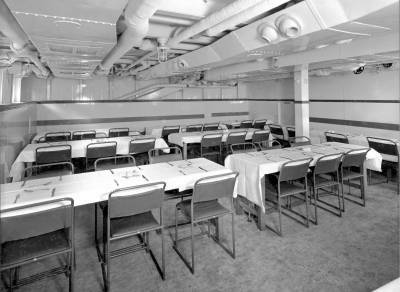 From December 1959 to March 1960 she was refitted at Harland & Wolff Ltd, Belfast and fitted with air conditioning throughout the ship. 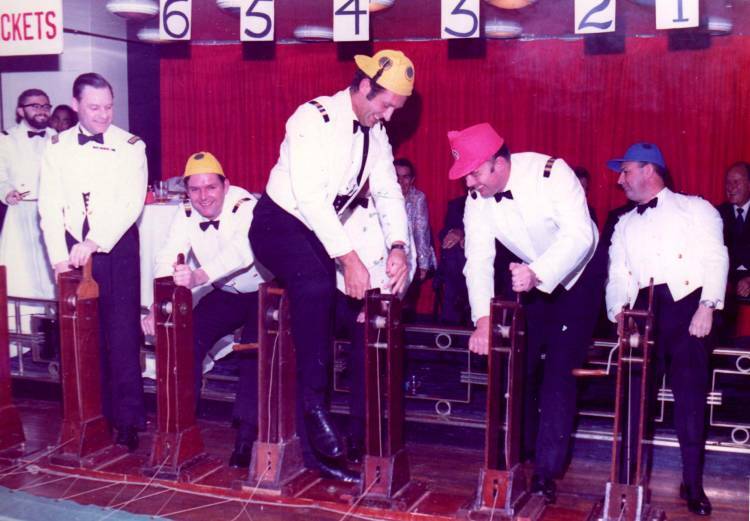 Horse Race 'Objection and Vet's Inspection! 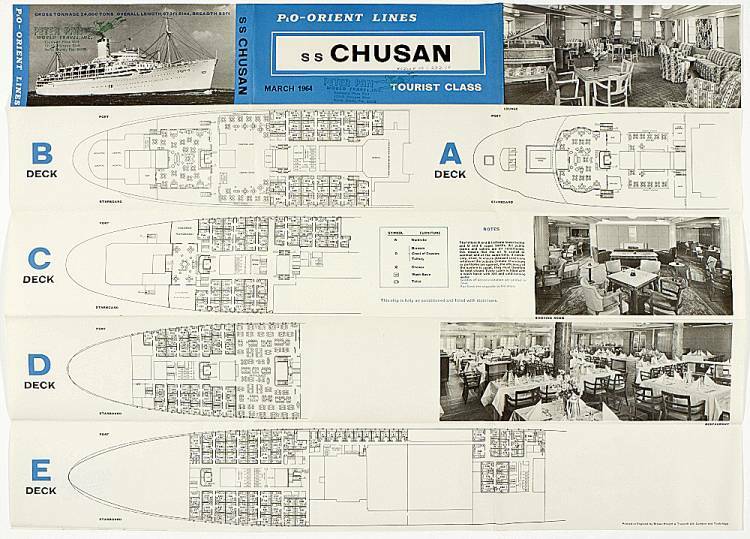 Chusan was my favourite ship, and both my parents and my wife-to-be were able to join me on board during her final cruises out of Southampton in 1972. 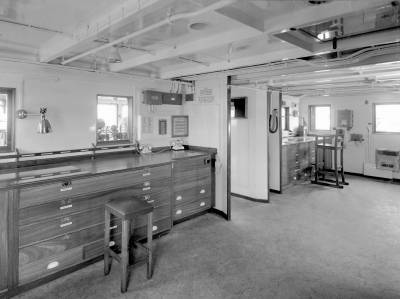 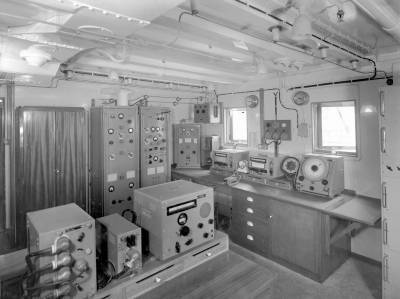 As First Officer, I was the ship's Senior Bridge Watchkeeper, and also responsible for Royal Mail, Cargo and Stability Calculations. 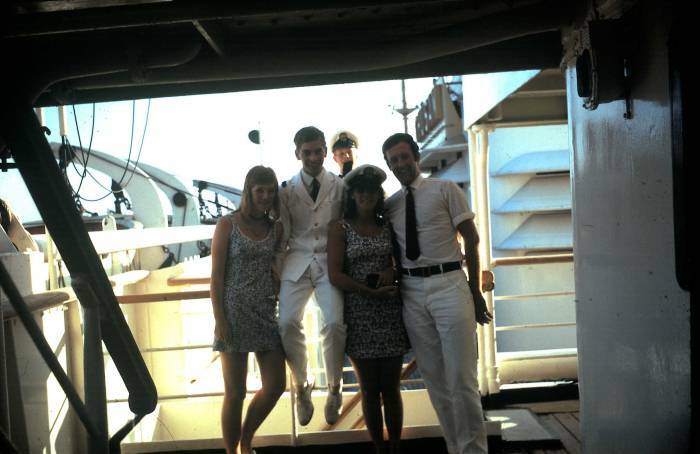 I kept a standing 0400-0800 and 1600-2000 watch, ably assisted by Third Officer Simon Richardson, my Junior Officer of the watch, and later best man at my wedding in September 1972. 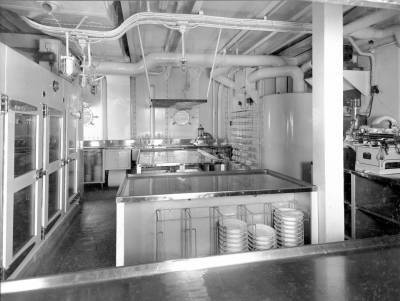 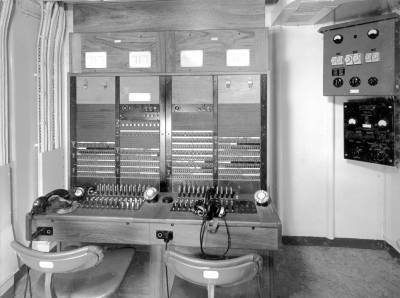 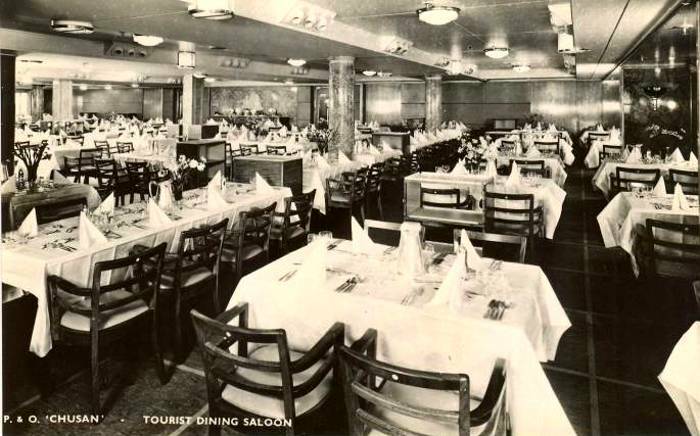 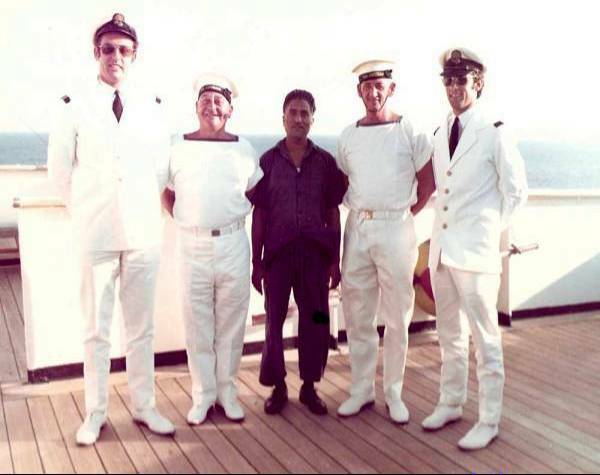 Under the command of Captain Eric Snowden, Captain John Wacher and Captain Dennis Scott-Masson, Chusan lived up to its reputation as the happiest ship in the P&O fleet. 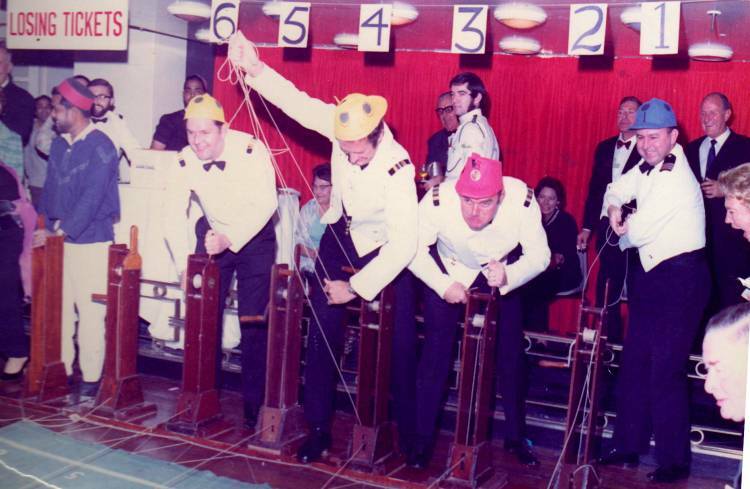 First Officer Nick Messinger, Quartermaster Duddy, Bridge Wallah, Quartermaster Two and Third Officer Simon Richardson. 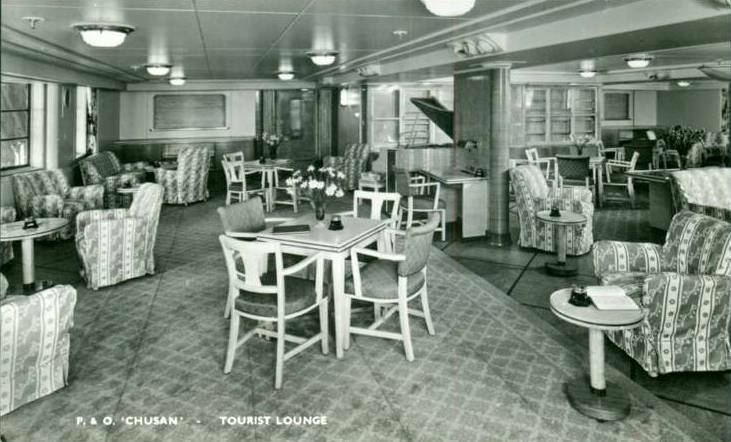 "The beautiful P & O liner SS "Chusan" was built in 1950, another product of Vickers Armstrongs of Barrow-In-Furness. 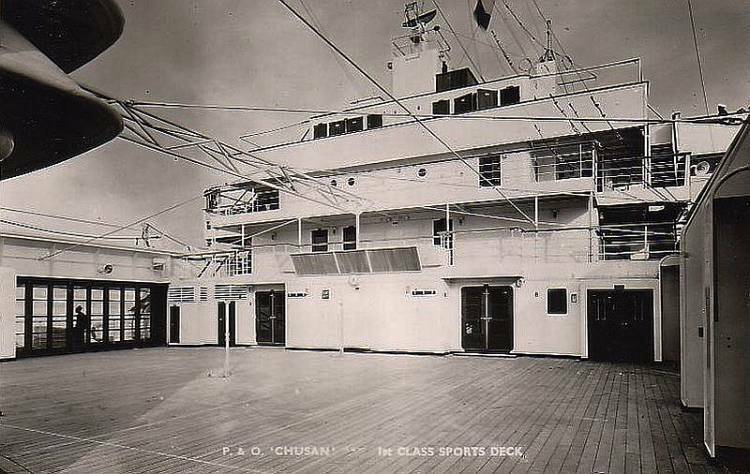 She was named after a Chinese Island and was said to have brought new standards of luxury to the India and the Far East route, Chusan was 24.200 GRT and had a top speed of 23.5 knots. 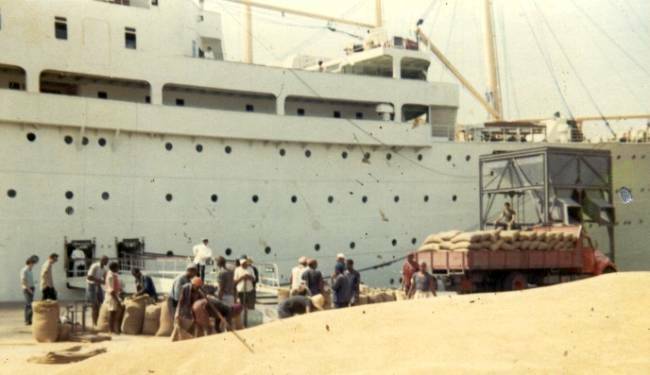 I have very fond memories of this vessel when in 1972, still just a very young boy, I assisted this amazing liner docking in Lisbon on board my uncle´s tug where he was the master, this is how I used to spend my summer holidays." 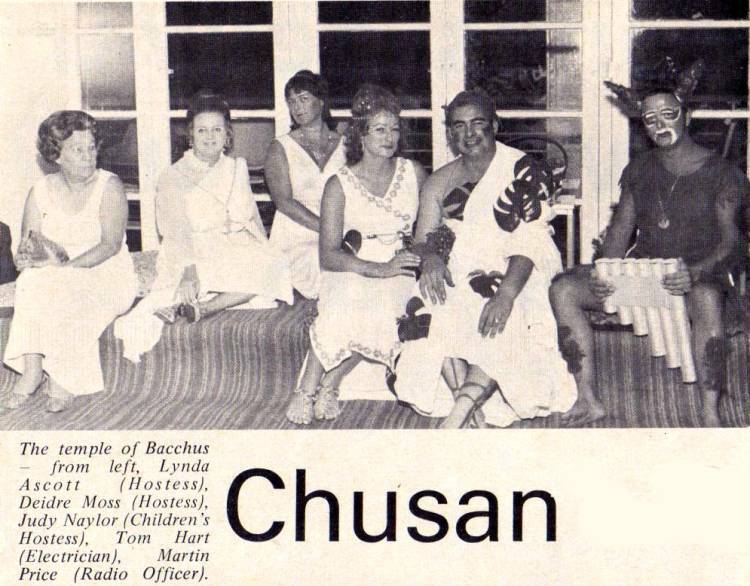 "Arriving early in the morning, Chusan slowly crossed the Venetian Lagoon as the Sun was rising, and there before us lay St. Mark's Square and the Doge's Palace - a beautiful gothic structure, completed in the early 15th century, it was unforgettable. 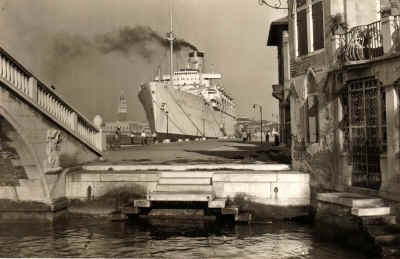 Later, the beautiful ship, viewed from across the Square, seemed perfectly at ease and in balance with her surroundings." 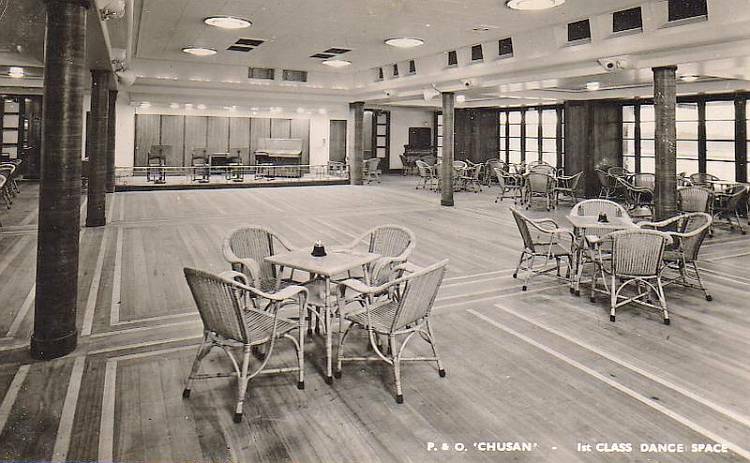 "In the 1950s, the Chusan also used to ply between Colombo and Southampton via the Suez Canal, carrying tea planters like my (ex-Hong Kong) father and their families on their 3-yearly leave. 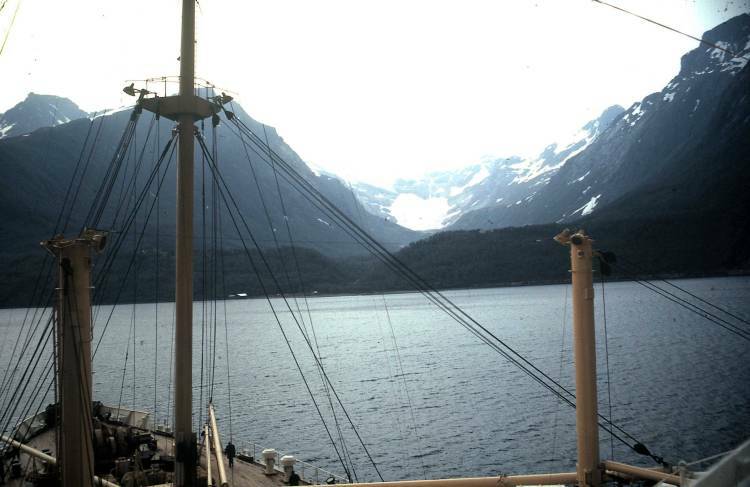 I still have a souvenir sailor doll from the Chusan, but was too young to savour all its luxuries." 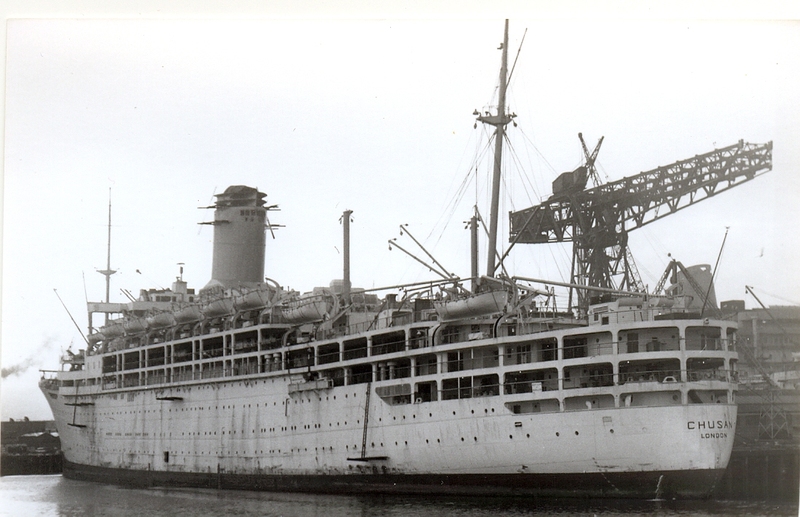 "It was the middle of December 1952 when we (my mother, myself and younger sister) set sail on the SS Chusan from Tilbury Docks in London bound for Singapore to join my father who had left some weeks earlier on a troop ship. 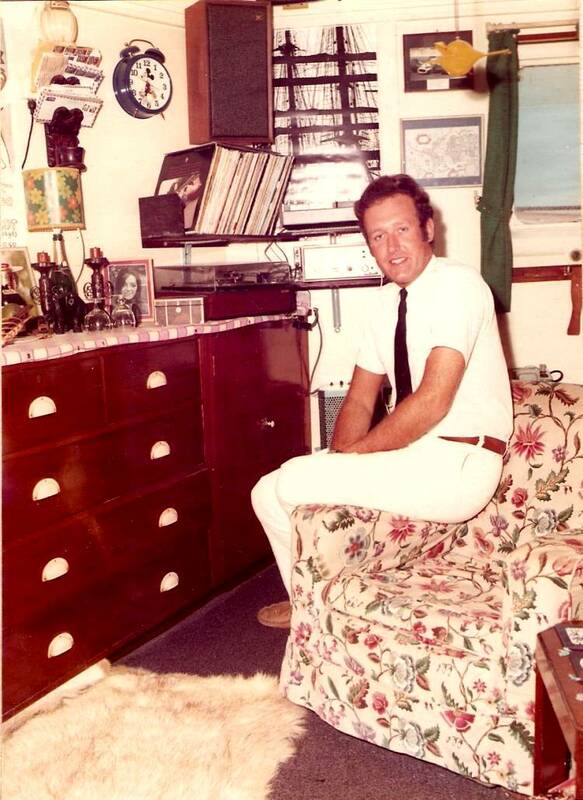 He was in the British Army and had been posted to Johor Bahru in Malaysia, across the causeway from Singapore. 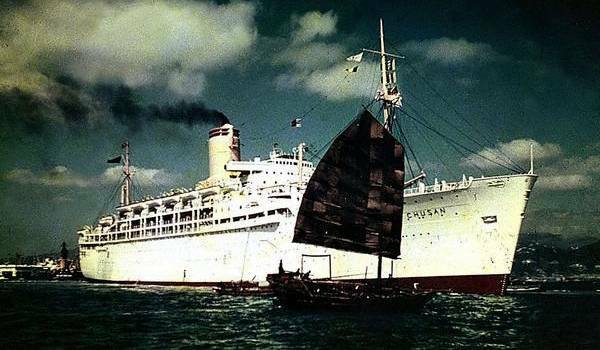 The SS Chusan was part of the P&O Line fleet of ships which had made her maiden voyage in 1950 and was considered to have brought new standards of shipboard luxury for journeys to India and the Far East." 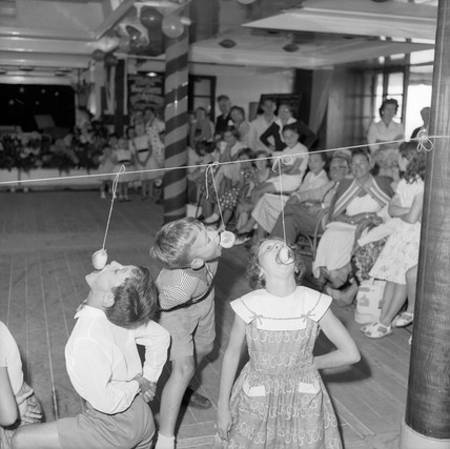 I am endeavouring to trace the artist! 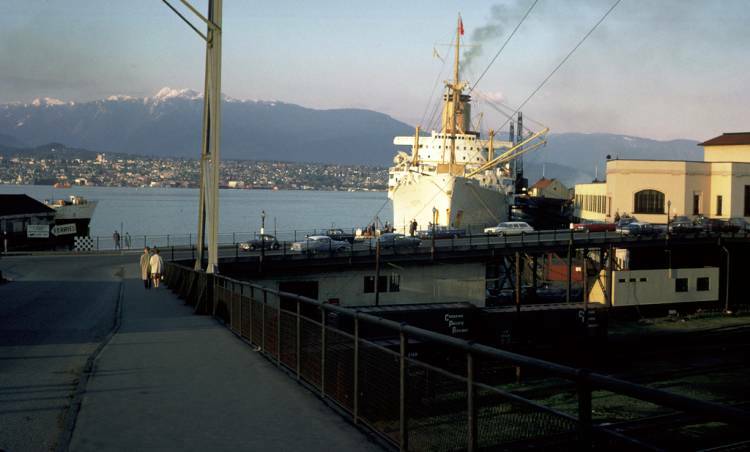 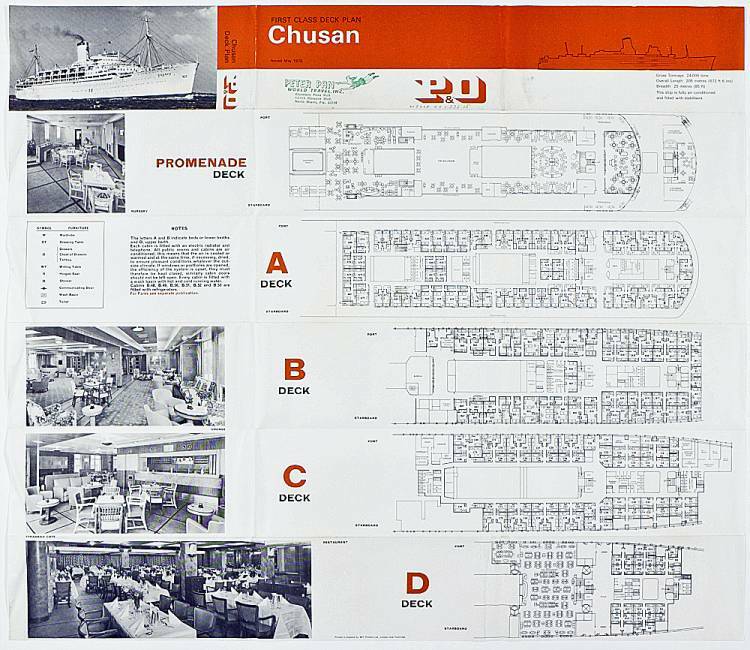 In the early 1960s the Chusan was taken off the Far East service and operated cruises before being transferred to a new regular service linking Australia and Yokohama, with a call at Hong Kong. 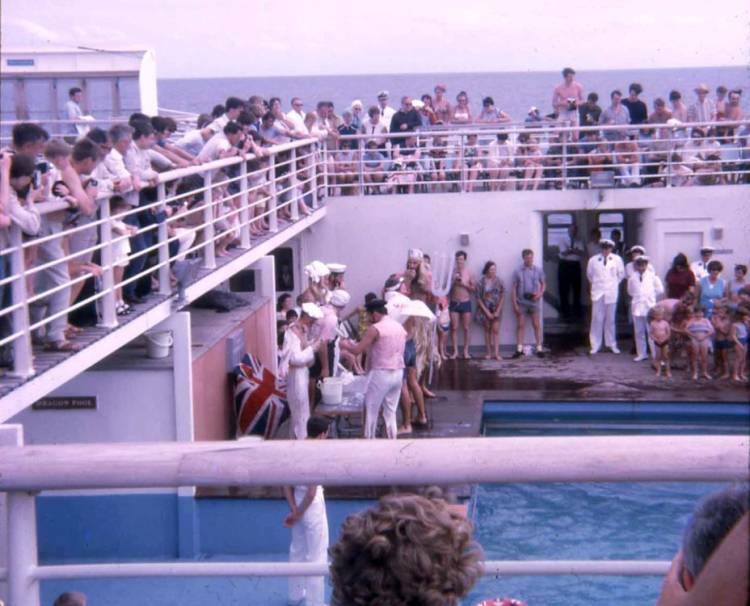 The final regular P&O passenger ship sailing from India was on February 8th, 1970, when Chusan departed from Bombay's Ballard Pier - thus ending more than a century of scheduled UK-India main-line voyages. 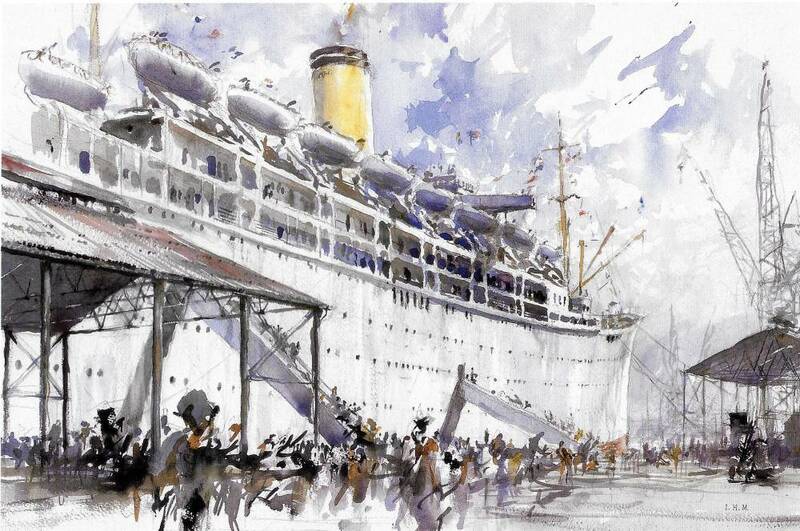 In this fine 1997 watercolour by the Scottish artist, Ian Marshall, Chusan is shown amidst the hustle and bustle, alongside at Ballard Pier. 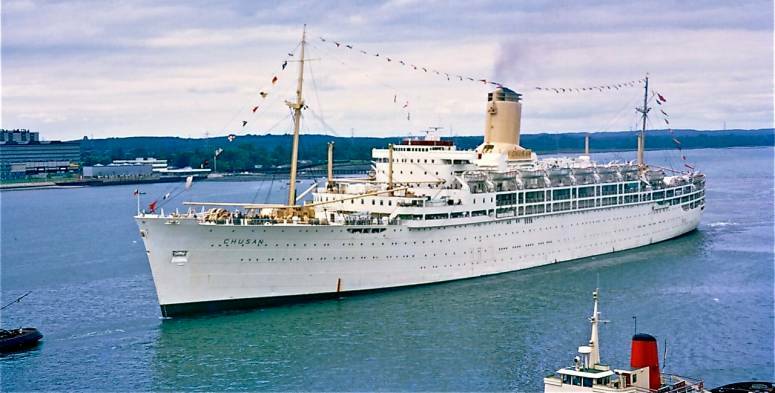 On the 26th March 1973 she arrived back in Southampton at the end of her final commercial voyage. 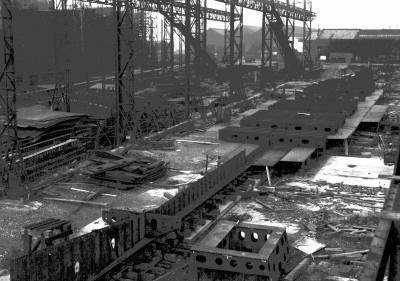 She was retired from service and sold to Mitsui & Co. who in turn sold her to Chou’s Iron & Steel Company Ltd for scrapping. 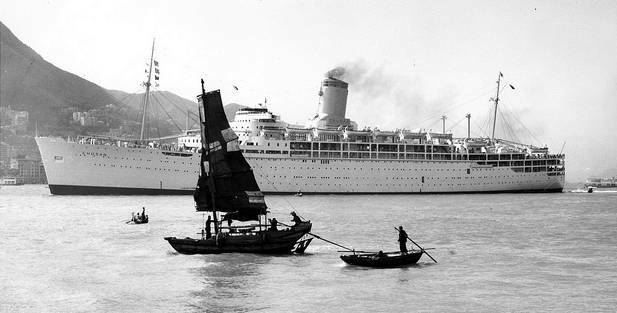 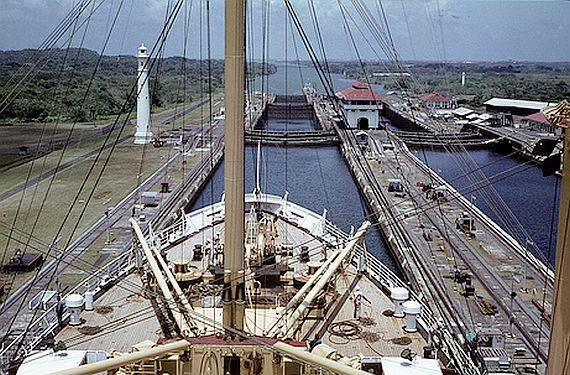 She arrived at Kaoshiung, Taiwan on the 1st July 1973 and demolition commenced in September 1973. 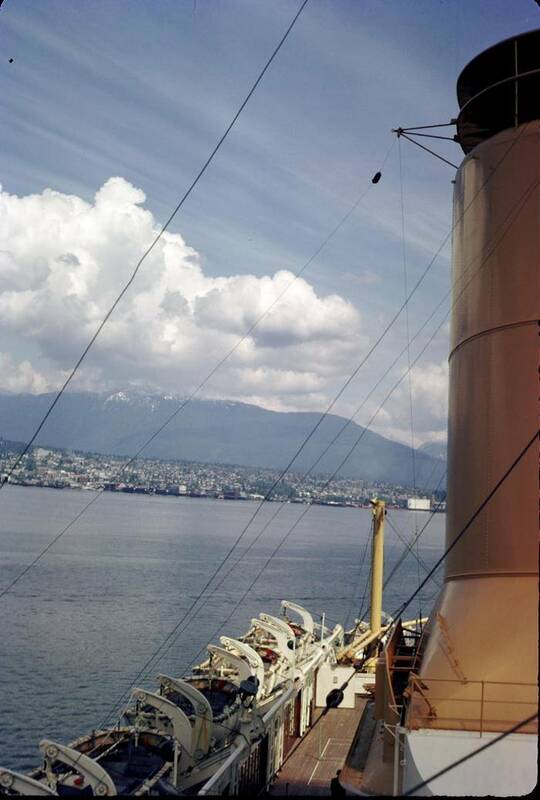 A sad end to a fine ship.